The lasagna garden is coming along. 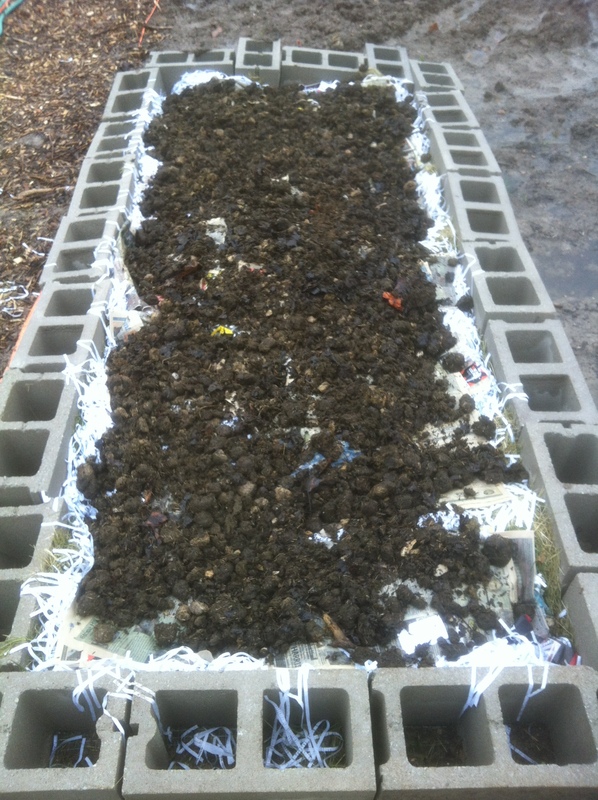 Thank you to Jenn and Thomas for the gift of some free horse manure that already had an established earthworm colony in it. That helps us along quite a bit. Also, a special thank you to the Giddy Goat Coffee House for the gift of some used coffee grounds. More coffee grounds are to come. 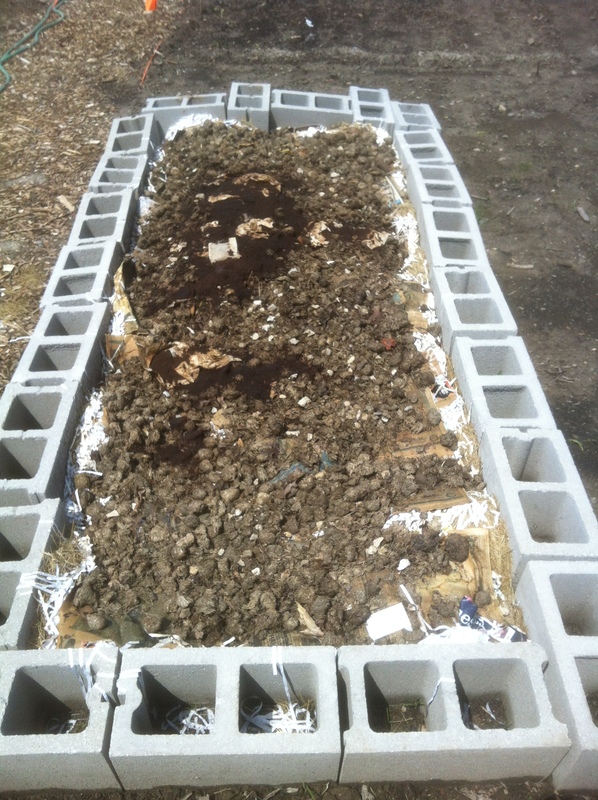 Note, you can place paper coffee filters in the compost, and the earthworms will eat them as well. The pictures below are a week apart. I added a little water just after I took the second picture, as it is not expected to rain today.